Exciting plans for a new aritifical 3G floodlit pitch could revolutionise the accessibility of football in Woburn. The move comes after village team, Woburn and Wavendon Football Club, experienced difficulties during winter seasons, as the nights drew in and conditions became muddy. Recognising their need, the Football Assocation selected the club for potential investment, and if the planning application is approved, the Football Foundation will cover 50 per cent of the project’s estimated £450,000 cost. Club Chairman, Robert Hill, said: “We really need a floodlit surface during the evenings, as sometimes we have to travel to facilities in Milton Keynes or further afield. When you think of the parents, that’s a 40-minute journey added to their day. The existing nine-a-side pitch will be replaced with a closed, synthetic, 3G surface, whilst the 11-a-side pitch will be re-aligned. Plans also aim to regenerate the car park and the club have their own funds as well as external funding. 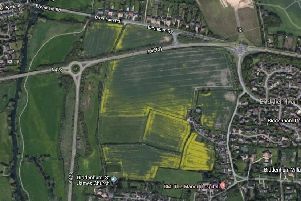 It is hoped the planning application will go to Central Bedfordshire Council in around ten weeks’ time . No objections were raised at a Woburn Parish Council meeting held on January 10.